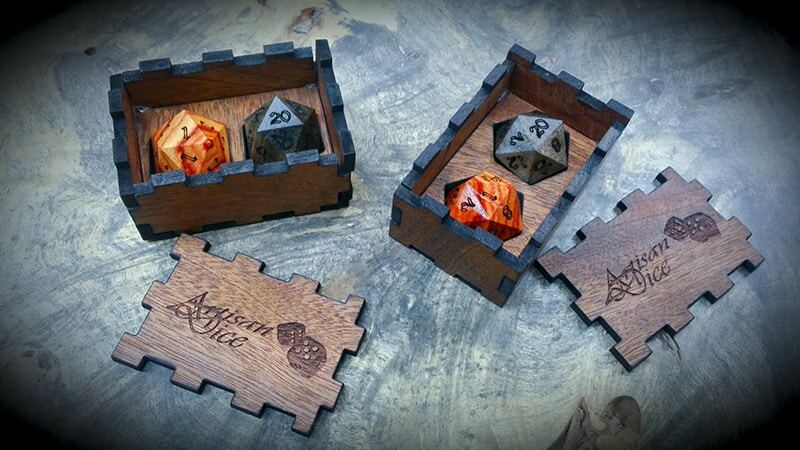 This unofficial holiday has been around since medieval times, so why not celebrate it Artisan Dice style? Want to jerk your GM’s chain? Why not let him roll you fancy new hand crafted Tulipwood d20? Who knows how long it will take him to figure out the #20 has been replaced with a second #1. We’re sure he’ll laugh just as hard as you will when his BBEG crit fails for the third time in a row. And just to keep things fair we’re including a Blue Mahoe d20 with two #20’s engraved. After all we had to get that second #1 on you GM’s new favorite dice from somewhere right? What if you absolute just have to have things go your way? Break out Fluffy’s Folly (seriously this set only exists because Fluffy has selective listening skills) roll a one of one Blue Mahoe d20 engraved with the #20 on all 20 sides. There’s absolutely no way you can fail to foil you GM’s evil plan with this dice. Got a mouthy rogue in your party that can’t keep his sticky fingers out of your dice bag? Fluffy’s Folly has you covered there too. Just let your sticky fingered friend pilfer the Tulipwood die from this pair and he’ll be rolling 1’s all night thanks to the 20 #1 inscribed on this die. Each of these sets comes in a numbered laser cut Quilted Sapele wood dice box. We only have 9 of the April fool’s dice sets and just 1 of Fluffy’s Folly. Sadly for me I lacked computer access for most of the day and missed Fluffy’s Folly. Too bad. I don’t imagine I would have used the dice, but they would be awesome collector’s items. Oh wow! I only just found these. How fun! I hope they are all going to good homes.